Each year we are guests at my cousin’s house for Thanksgiving dinner and this year I wanted to make a personal thank you note to our hosts to show our gratitude for having us. 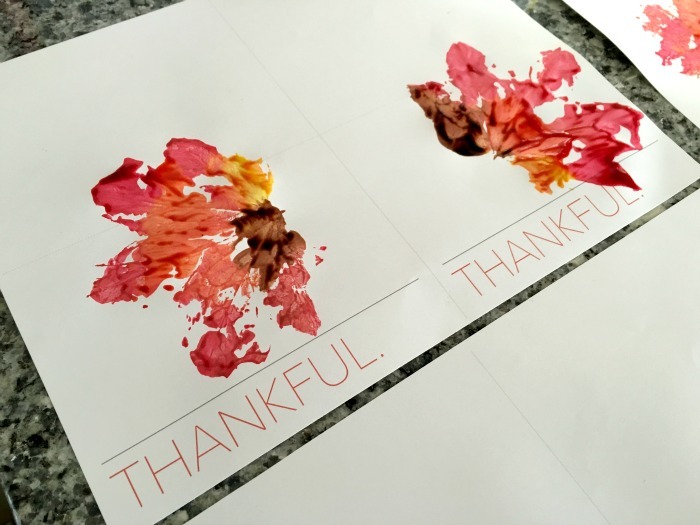 Kids love to paint and do crafts and enlisting their help with this fun project makes all the more sense! 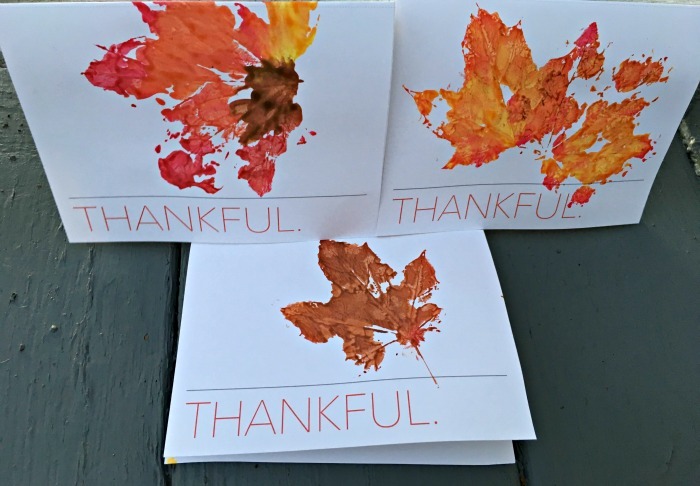 In the end, your child(ren) will have created something adorable and you’ll have a custom thank you card to hand out this Thanksgiving. I’ve made a simple Thanksgiving card template and wanted to share it with all of you. We chose to do some leaf printing on the front, but your kids can draw a picture, use stamps, finger paint etc…the possibilities are endless! The printable is for two cards. There is a vertical dotted line where you’ll cut between the two cards. The horizontal dotted line shows where to fold the card. We printed ours on card stock, but regular old computer paper will do. Awwww… And Thank YOU too!